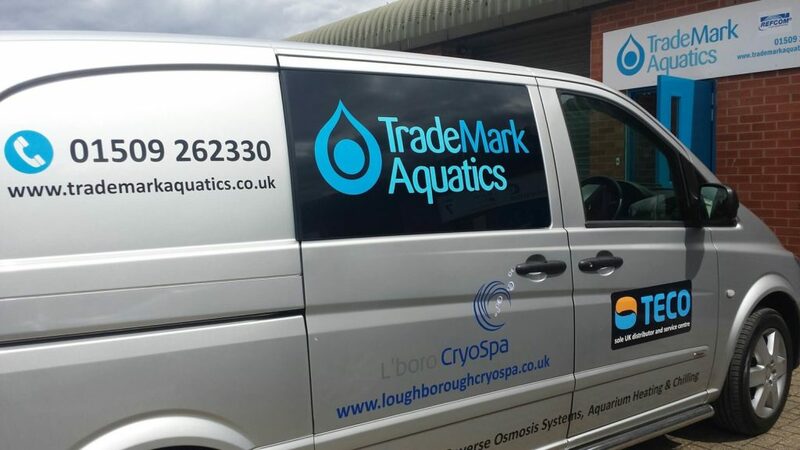 Welcome to TradeMark Aquatics, the home of innovative quality aquatic products and UK distributor for the aquarium line of chillers from TECO® Refrigeration Technologies. TECO S.r.l. is an Italian company with over 40 years’ experience in the refrigeration manufacturing trade. In 1975-6 TECO developed a unique oil-free compressor which NASA used in their Space Shuttle programme. TECO have been manufacturing aquarium chillers since 1988. They continually strive to bring to the market the latest technologies and most efficient cooling products available. TECO are also leaders in innovative design with unique patented features such as the TECO Body Condenser System. Their aquarium chillers have some of the highest COP ratings of any product on the market, making their products highly efficient and economical to run. Spares are readily available in the UK for TECO chillers of all ages. Mark Flynn-Ryan, our Managing Director, has a vast experience of TECO products, having worked with TECO for over 25 years. We offer full servicing to the entire TECO range of aquarium chillers, both new and old. Our TECO-trained, F-Gas certified technicians can quickly restore your chiller to its full performance and provide you with a performance test certificate once the work is completed. Look at our ‘Before and After’ post showing how we can bring a chiller back to life. Mark has extensive experience, having worked in the aquatic trade for more than 30 years; indeed, his grandfather Mr Fenton was one of the first people in the UK to set up an aquatic supply company, Fanday Aquaria, in the 1930s. Mark spent over 20 years working in the marine supply trade and also ran a successful aquatic retail store in the East Midlands in the 1980s. We pride ourselves on our customer service and attention to detail and therefore provide all of our customers with the best service possible. Our aim is to dispatch all orders received by 12.00 noon the same day for next working day delivery if possible. Bespoke orders are usually ready within two working days. We offer full product support and are always ready to answer your questions or enquiries. We support specialist aquatic retail stores as without them the aquatic hobby could not survive. Customers can buy any of our products at or through their local aquatic store. Please contact us for details. Trade enquiries are welcome. If you would like to distribute our products and have retail sales forwarded to you, please contact us. We offer all retailers full technical support seven days a week.